Pe Braided Fishing Net quality identification method. 1. Check the flatness, restorability and softness of the wire body with the hand feeling, and observe whether the transparency of the wire body is consistent at the light. 2. To touch and see with your hands, check the surface of the fishing line for any bruises and scars, and whether there is aging and hardening. 3. Pull and see how elastic it is. Inelastic and aging Pe Braided Fishing Net should not be used. 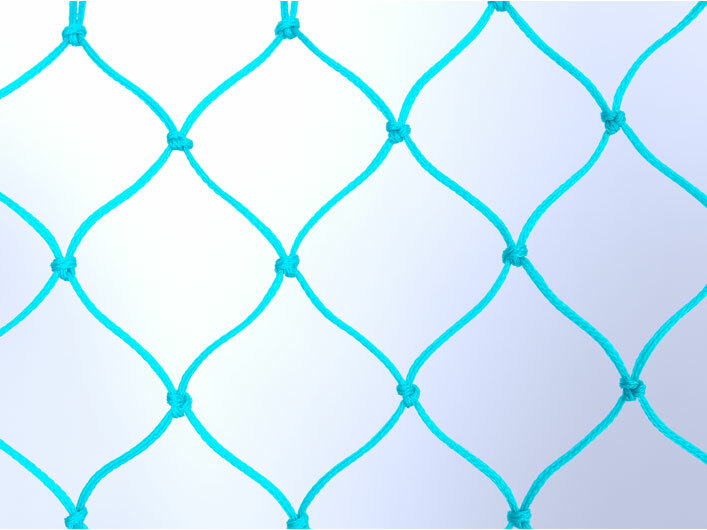 When storing Customized Nylon Fishing Net, it should be prevented from being damaged by rats, insects, etc., and the work of rodent control and pest control should be done, and there should be no other volatile or erosive chemicals in the place where the fishing nets are stored. For fishing nets after drying, avoid placing them directly on the ground, but placed them on a shelf about half a meter from the ground or in a wooden box. Then you need to dry the net, you should avoid direct sunlight, in the case of the premise of the choice, choose a spacious, airy, dry place to dry. It should be cleaned during drying to remove dirt and greasy deposits, and remove metal parts that are easily rusted to prevent them from rusting the mesh. If it is rainy or cloudy, the door should be closed to prevent the fishing net from getting wet.